I have now used the admin account to set my self with a role of “course creator”. Logging back on as myself I had the extra site administration menu to create a course. The setup was pretty easy and I set up a sample “IDEL11 Moodle” course… adding in a few initial “blocks” for a course collaborative Wiki (choosing simple visual NWiki editing style), a survey element, and a simple radio button style quiz showing everyone the answers to date before and after the vote. 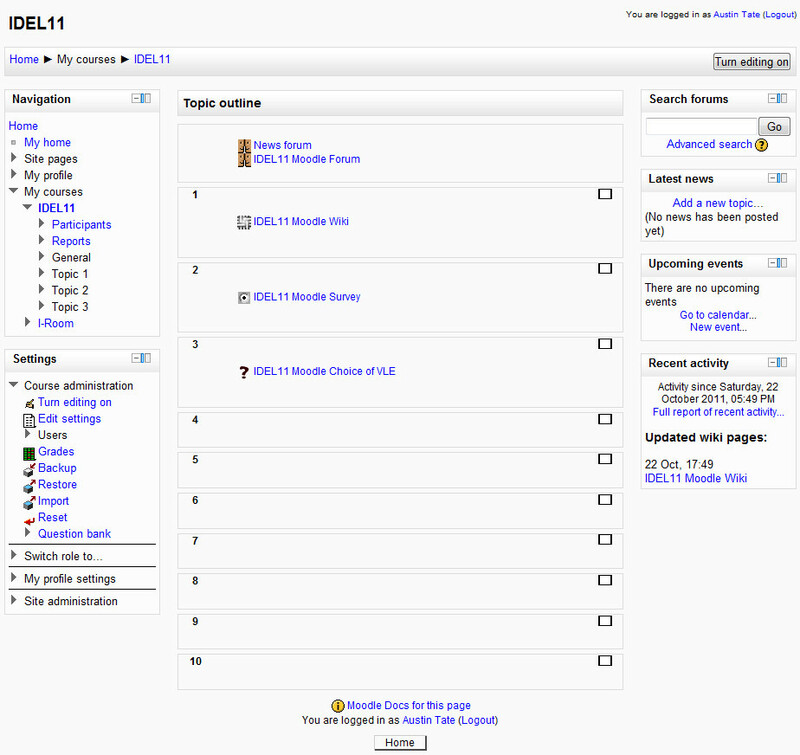 The site uses the latest stable Moodle 2.1.1. It is not set up to scale or be properly managed so we will just add students manually for our testing. But after I get some of the basics I would be happy to let anyone on the IDEL11 course join a sample “IDEL11 Moodle” course as a student if they want to look round or have not used Moodle before. When I have things working reasonably, I would be happy to manually add users accounts with role “Student” for other IDEL11 participants who wish to explore Moodle a little.